Often raising teens can be overwhelming. Sometimes teenagers can feel entitled. They can also be disrespectful and feel at a loss on how to reserve it. Every so often it can be a lot easier to give into the lousy attitudes than to deal with it. It can be tiring to deal with the issue, so giving it seems easier, but later you get regret it. Not taking the time to make it a teaching moment can make the next time worse and the time after that. The behavior of being entitled and disrespectful will then continue. What’s the difference between respect and kindness? As parents, we sometimes walk on eggshells because we aren’t sure how to communicate with our teens. We don’t want to offend them or their friends and sometimes we don’t know the right terms or phrases to use to make sure they feel respected, especially in the social media culture they live in. Sometimes they can sense the insecurity and can take advantage of it. Our teens want to be respected, but they don’t always know how to get it and to give it back. We, we need to respect our kids but also expect respect in return. We are parents first and then their friends. This means we need to be the authority and set the standards on how to treat others. Learning respect within their home will hopefully carry over into their lives and how they treat others they interact with, such as teachers, coaches, and their friends. 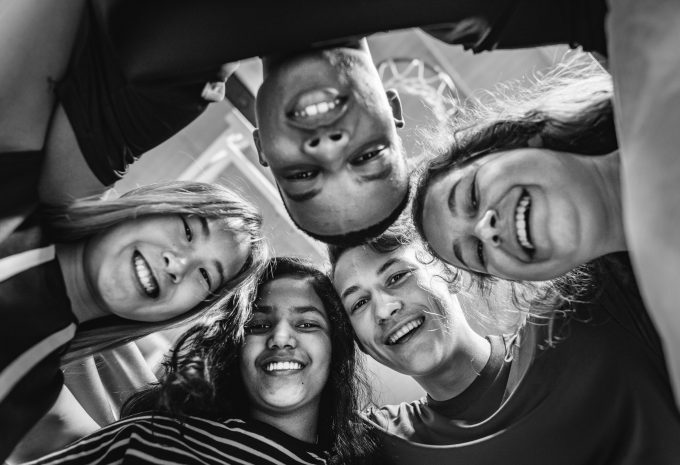 Teaching kindness to our children is important, but it is also important our teens understand that kindness needs to be within the home too and when speaking to you. Teens do have their moody moments as we often do as parents, but the consistent, entitled behavior we see in them does need to stop. We need to make the corrective conversations with our kids, and not be afraid for them to be mad at us. Where did the disrespect start? There is a lot going on within our lives. I’m definitely guilty of this by letting my kids sometimes get away with more than they should or keep them distracted with technology, such as watching their TV shows or be on their shows. Sometimes we make up this loss of time with them by giving them material items or vacations. This sometimes can make them feel entitled to certain things. Social media sometimes is setting our child’s standards these days. The influencers from Instagram, SnapChat and YouTube are telling our children what is okay and not okay. Sometimes we as parents are staying away from correcting our teens. We need to make sure we follow through with our threat of consequences. If we really are going to take that phone away when we say we are going to if their disrespectful behavior continues. It might be easy to think that our children will grow out of their disrespectful phase, then we are really wrong. Respect is learned. Teaching our children how to respect others and value what they have to teach is teaching them to respect themselves as well. When our teens learn to speak with kindness and respect others than we are preparing them to interact with all kinds of people. Some of these people are future bosses, college admissions, professors, and future spouses. If your teen is lashing out at you, it’s time to change things ASAP for your emotional health but also theirs. It will only get worse if your child is not held accountable for their behavior. Here is what you can do about it. Write out your family boundaries with your partner. Communicate with your partner on setting boundaries. Then communicate them to your teen and stay consistent with your family boundaries. This helps your teen know what is to be expected and the consequences if they are not followed. Writing them ensures that the boundaries are straight forward and so they know what to expect and the consequences of not following them if they go out of the boundaries. Get involved in your child’s life and their social media life. With a technology focused world now, it’s important to know what your teen’s behavior is being influenced by on their phone. Remember your teen needs boundaries too. Sometimes your teen will push back and outburst, so stay strong when you receive this back. Often it is an insecure and uncertain time for your teen. Remember when you were one? Your teen needs your help, your guidance, and consistency. Be united with your partner. If you are no longer together with your partner, it’s important to not be disrespectful to them. Your child will think it is okay to be disrespectful to the other parent if you are. It is also vital that your child has a healthy relationship and outlook with all parents, even step parents included. Remember you love them, and remind them that you do. We can sometimes forget that we love our kids. Their behavior doesn’t always define who they are. It’s who they are that we love. Don’t give up easily on them. Put in the time and work to help them become the person you know they can be. Tell them you love them and give them compliments when they do something.